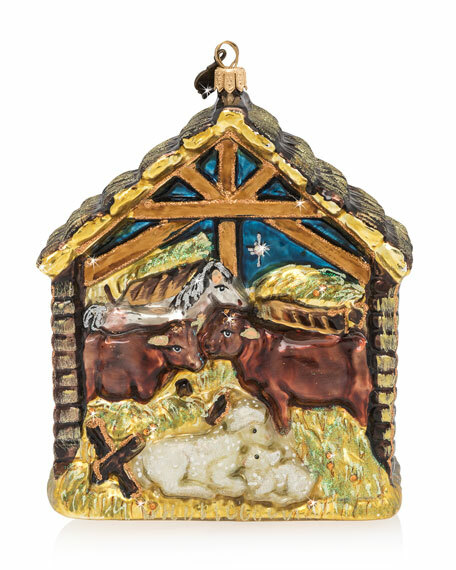 Small in stature but impressive in style, this magnificently crafted, two-sided ornament features the Holy Family on one side and the Nativity animals on the other. Sure to become a treasured part of any Christmas. 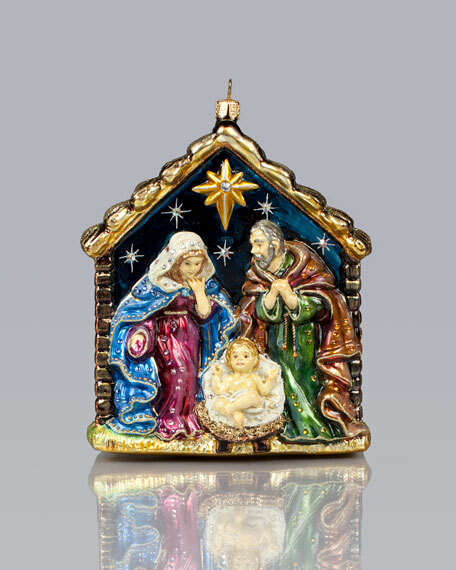 Hand painted and hand set with Swarovski® crystals. For in-store inquiries, use sku #180987.